Information on Umbria, the green heart of Italy, nightlife, villas, apartments, recipes, hotels, and events. Orvieto is a tiny town including 20 thousand habitants in southwestern Umbria, sited on the plane on top of a large mass of volcanic tuff; that tuff, with its approximately vertical flanks, completed the defensive fortifications built with the same sandstone. Once you enter Orvieto you will spot, in the central piazza, an extraordinary Cathedral. Built within 100 years between 1300 and 1400, it is one of the peak expressions of Gothic art within central Italy. Historically, the knolls in the center of the Italian peninsula feature many days of large amounts of sunshine with pleasant temperatures, greatly beneficial for wine production. If you want a good Umbrian wine to purchase while eating fish, there are no hesitations, you must acquire Orvieto Classico D.o.c. This wine has a very extended history. As you might be familiar with, Italy was famous by the Greeks as Enotria, the Country of Wine. 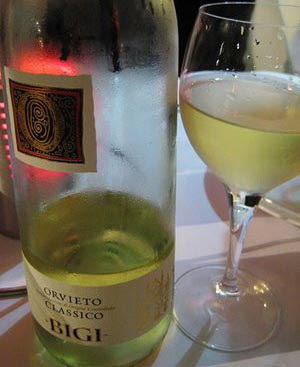 Orvieto's white wine is called the Pope's wine, since it was the chosen wine of the Pope since the middle-ages. It is a characteristic Italian white, made with indigenous varieties: 40% Grechetto, 30% Trebbiano and 30% Malvasia matured in vineyards surrounding the famous hilltop settlement of Orvieto. This vintage is the single one I can nip through the summer, nicely refrigerated and drunk throughout the burning summer times. All through June, July and August, temperatures are above 30 Celsius in any given day, with nighttimes chilling to 25 Celsius. That is why wine may be drunk only through the evening, so a low proof wine such as Orvieto Classico is just right. It is amongst the most amiable wines, with its 12 degrees. Also, the price at the source is exceptionally low-cost. Merely 5 euros a bottle, even though I bet out of the country it can cost up to 12 dollars. Finding such a good wine this cheap is not simple. Always bear in mind to check for the D.O.C. label, the wine's credential of derivation.